ALEX Verbyla fears Mackay's increasing rental prices could soon leave him homeless. 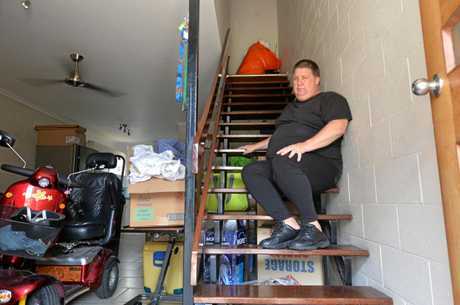 The 47-year-old and his elderly mother, who has mobility issues, have been forced to move six times in the past year due to a lack of suitable accommodation. Since his mother Vida, 70, went into aged care last week, Mr Verbyla has had to move a seventh time, and fears he may only be in the East Mackay unit until April. 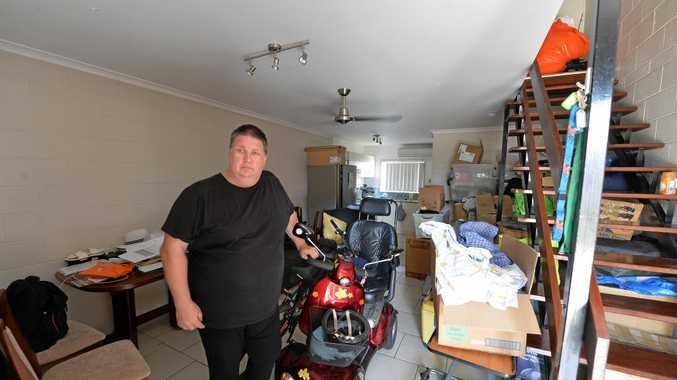 A large red mobility scooter dominates Mr Verbyla's tiny single-bedroom unit, which is piled to the ceiling with well-worn boxes of his possessions. Mr Verbyla had been on hold with Centrelink for four hours when The Daily Mercury visited him this week. "It's just really hard," Mr Verbyla said. "The rent has increased a lot in Mackay... there are less houses available." Mr Verbyla is in government benefits limbo and may lose his carers allowance. Considered a "vulnerable renter", he is part of a growing trend in Mackay, which has been named as one of the top 10 local government areas in Queensland for rental vulnerability. Research by Tenancy Queensland and City Futures Research Centre based on 2016 census data has found elderly and low-income families in Mackay and regional Queensland are struggling to pay rent. Tenancy Queensland CEO Penny Carr said regional areas showed high incidence of rental stress, even though median rents are low compared to Brisbane. "The data is telling us that regional areas have a pressing need for services - such as tenant advice services - that give vulnerable households material assistance in dealing with housing problems," Ms Carr said. The median rent in Mackay remains steady at $275 a week when comparing 2016 Census data to the latest numbers on realestate.com.au. "People experiencing hardship, where their circumstances have changed and they can no longer afford rent, issues involving domestic violence is a big one for us, and disputes over rental bonds," Ms Hancock said. A Housing Department spokesman said there were 1931 public housing dwellings in the Mackay electorate, with 94.3 per cent occupied as of December 31. "There has been a slight increase in demand from seniors in the Mackay electorate in the past 12 months; however, there is growing demand for smaller dwellings with mobility features that enable clients to age in place," he said. The spokesman said a complex of 10 one-bedroom units was being built in West Mackay to meet demand. 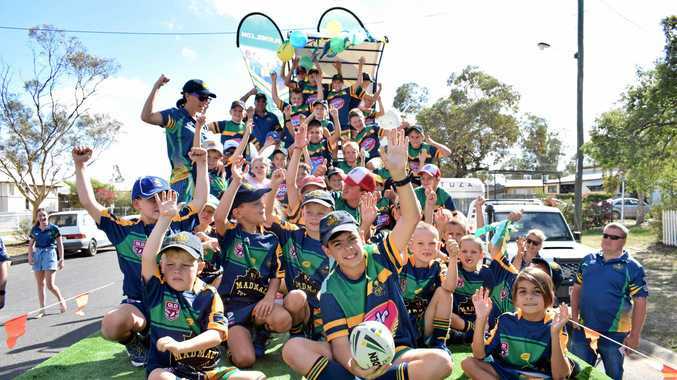 UNSW City Futures Research Centre chief investigator Laurence Troy said policies are needed to increase affordable housing opportunities in Queensland regions. "This is the phenomenon of high housing costs pushing out and shutting out, low-income and otherwise disadvantaged households from city centres," Dr Troy said.